*Editor’s Note: This feature was published under our previous banner, Journal of Digital Imaging Artists. The post was formatted for our previous website and is not optimized for the current platform. 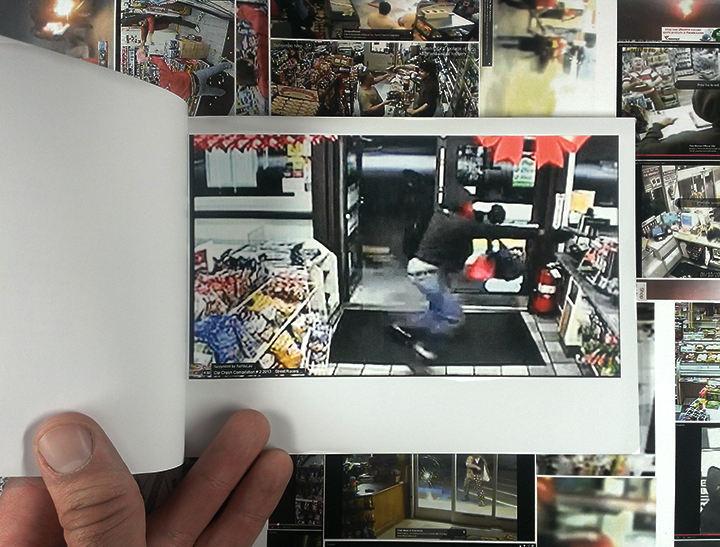 Another Twenty-Six Gas Stations is a new media artist book comprised of twenty-six screen captures culled from gas station surveillance videos found on YouTube. 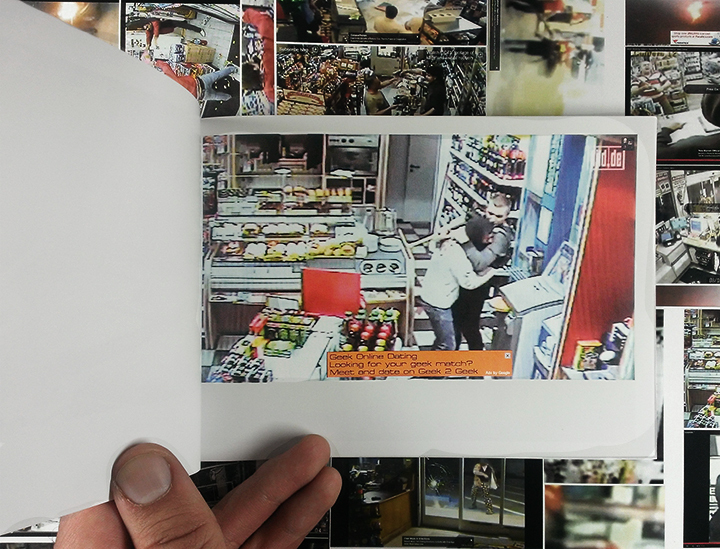 The book blends notions of surveillance, crime photography, advertising, and found text; which together form an incisive dark-humor commentary on advertising and violence within the framework of online consumption. 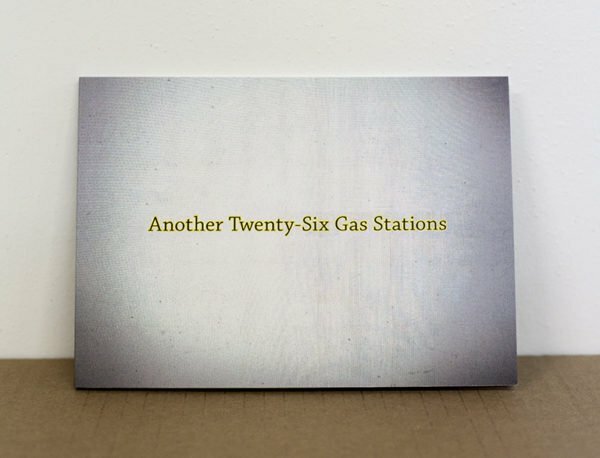 Fifty-one years after the publication of Ed Ruscha’s seminal book work, Twentysix Gasoline Stations, Another 26 examines how the American Identity has shifted from the idyllic media messages and car culture of the 1950s and 60s, to the coarse post-9/11 age we occupy today. Within the book, the image-text relationships work to form interweaving layers of meaning and interpretation. The sequence ties together formal properties, textual interplay, narrative sequences, as well as several discrete visual puns and references to Ed Ruscha. 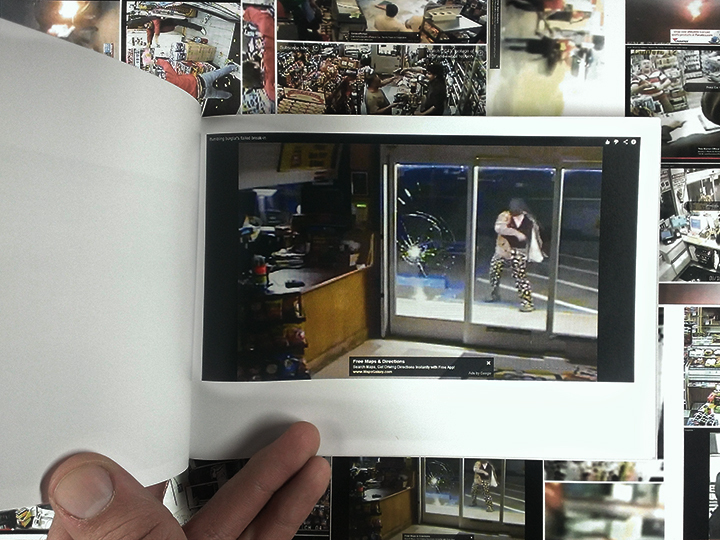 The book’s elements create a meditation in morality and mortality, which challenges the viewer to either succumb to her own fascination with the violence depicted, or to look beyond the surface to discover the critique embedded within. Afterword by Lance Speer. Download here. Ed Ruscha: Books & Co. Gagosian Paris. 3.12 – 5.7, 2015.